They are now working to “future proof” these free crop pollination services to help build wild bee and other desirable insect populations. “Australia’s lucerne seed industry is worth about $95 million with as much as 30-40% grown under dryland conditions, although that can drop to 5-10% in very dry years,” says project co-leader Dr Katja Hogendoorn, in the University’s School of Agriculture, Food and Wine. 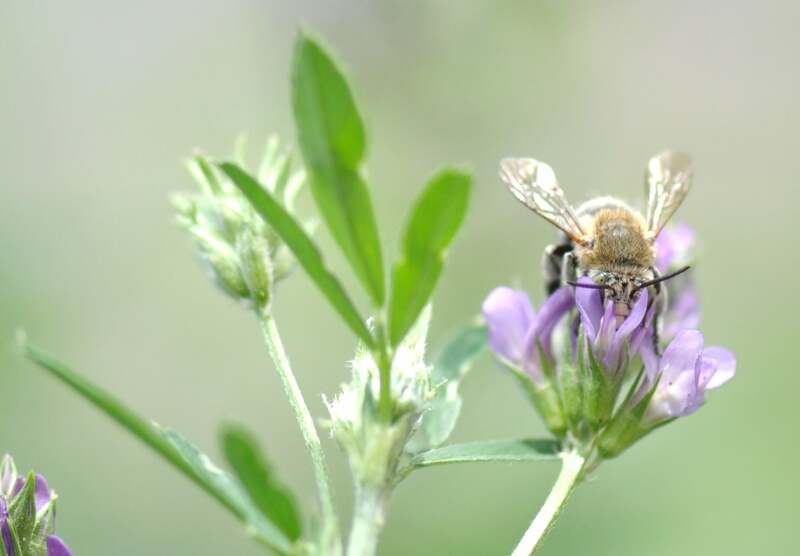 “Lucerne seed production depends 100% on insect pollination, but in 2014, Lucerne Australia identified that 66% of dryland lucerne growers did not place hives in their lucerne. The researchers are now investigating what actions growers can undertake to help build secure populations of wild bees and other pollinating insects. About 83% of seed lucerne is grown in South Australia’s South East, with the rest in Victoria and NSW. 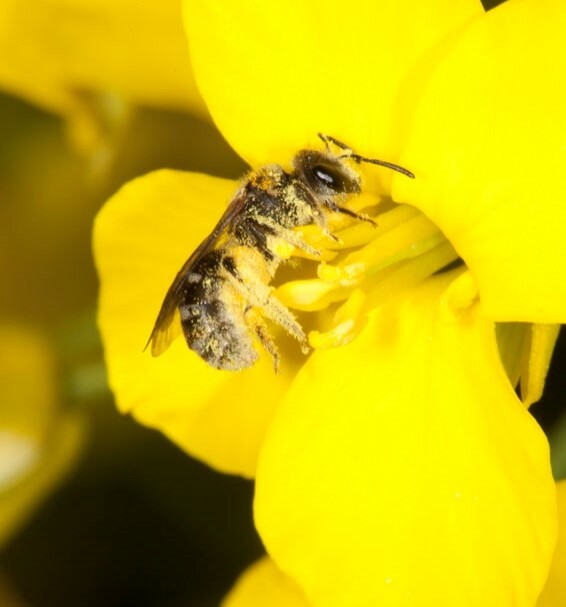 “We will be identifying the wild pollinators, finding out what other food resources can support their presence near lucerne paddocks; and investigating their activity pattern to establish when they need these resources, where they nest, and what they use to build their nests,” says project co-leader Professor Andy Lowe, Director of Food Innovation at the University of Adelaide. “This will enable us to produce guidelines and a web-based planning tool for growers to design plantings of Australian native plants around their crop that provide healthy food and shelter for these wild pollinators. ”This project is of particular importance because insect pollinators are in decline worldwide, because of pesticide use and habitat destruction. The creation of habitat for crop pollinators is part of future-proofing pollination services in preparation for a likely Varroa mite incursion, which has decimated populations of feral honey bees worldwide. This project is supported by AgriFutures Australia, though funding from the Australian Government Department of Agriculture and Water Resources as part of its Rural R&D for Profit Program, as well as Horticulture Innovation Australia. The project is being led by the University of Adelaide with further support from Adelaide and Mount Lofty Ranges Natural Resources Management Board, Department of Environment Water and Natural Resources SA, Apple and Pear Growers Association (SA), Lucerne Australia, Native Vegetation Council, Natural Resources Northern and Yorke, O’Connor NRM, Primary Industries and Resources SA, South Australian Apiarist Association, Terrestrial Ecosystems Research Network Eco-informatics and Trees For Life.